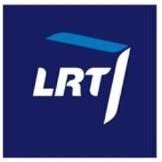 General TV Channel / LRT Lituanica is the third Lithuanian public television channel, operated by LRT. The channel broadcasts 24 hours per day and is a mix of original programming from LRT televizija and LRT Kultūra. LRT Lituanica was launched as 'LTV World' at the end of September 2007. In Europe it is available through Sirius 4 satellite, also free of charge to Kabel Digital subscribers in Germany. In North America can be viewed free of charge on satellite Galaxy 19, 97 West.